Sleepless Night Another short visual novel about Haru. This time you team up with him to work on a school project. However, in this night something strange happens. Suddenly you’re locked inside your own room and a dark power menaces your life! Can you find a way out of your room? Can you even survive this night? Pay attention to your environment and you might have a chance to escape. 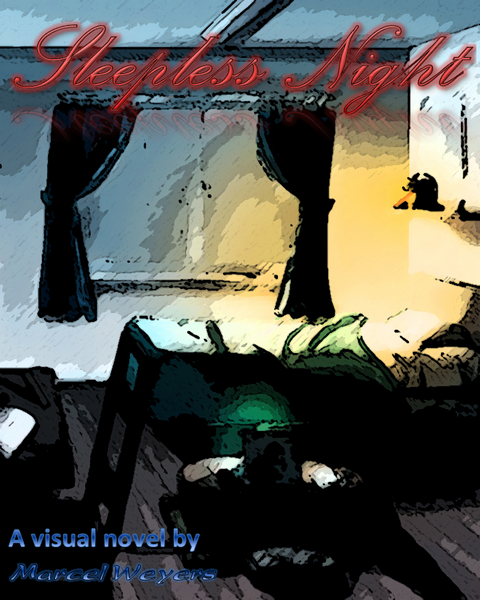 Sleepless Night is a short horror visual novel about Haru, the protagonist of Marcel Weyers' book series "Shadow-Trilogy". You team up with Haru to work on a school project. However, in this night something strange happens and you are trapped in your own room. Try to escape and try to stay alive! The game is available in Dutch, English, German and Spanish. This version supports Linux, Mac OS, and Windows. It includes all available language options.